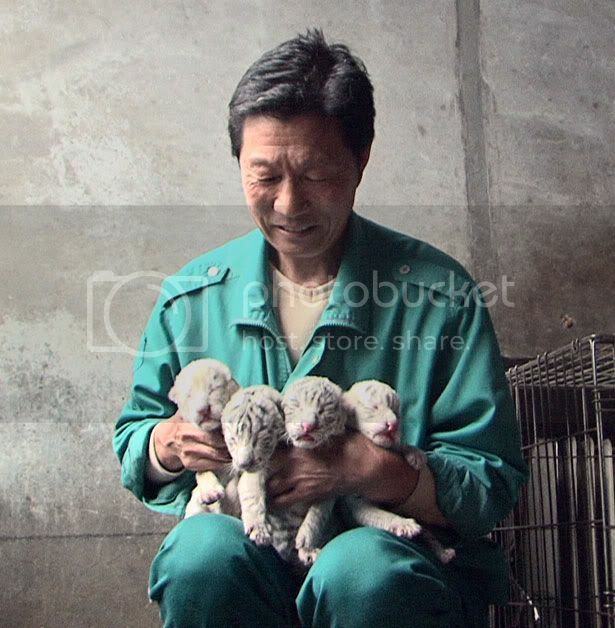 There's no better way to start the bank holiday weekend then with some life-affirming pictures of newlyborn rare white tiger cubs. 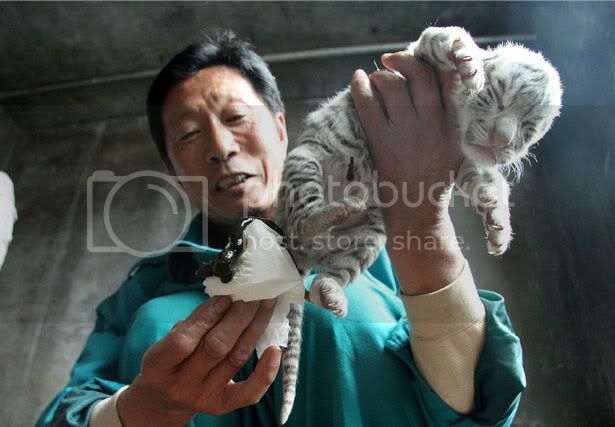 Eight-year-old white tiger mother "Lili" gave birth to the quadruplets in the Xixiakou wildlife protection area of east China's Shandong Province last week. 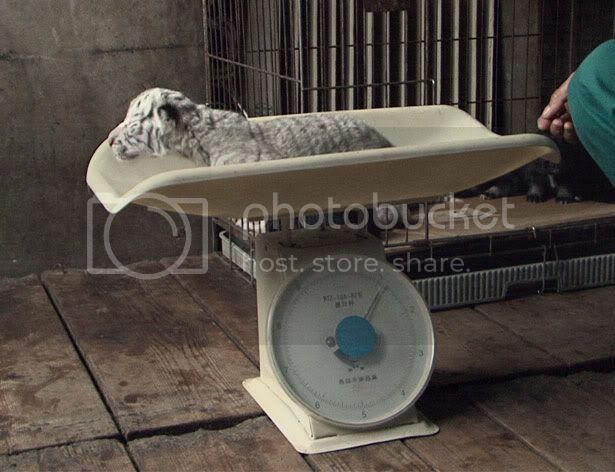 The as yet unnamed female tiger cubs are now being fed by their "dog mother" because their tiger mother, who already gave birth to another set of quadruplets last September, was unable to feed them. See amazing images of the cubs being nursed in their first few days of life below. The quadruplets feed from their "dog mother"